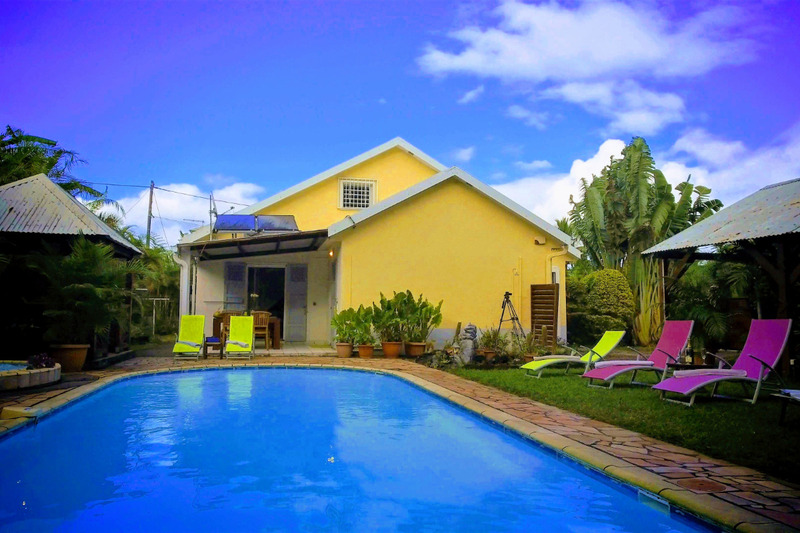 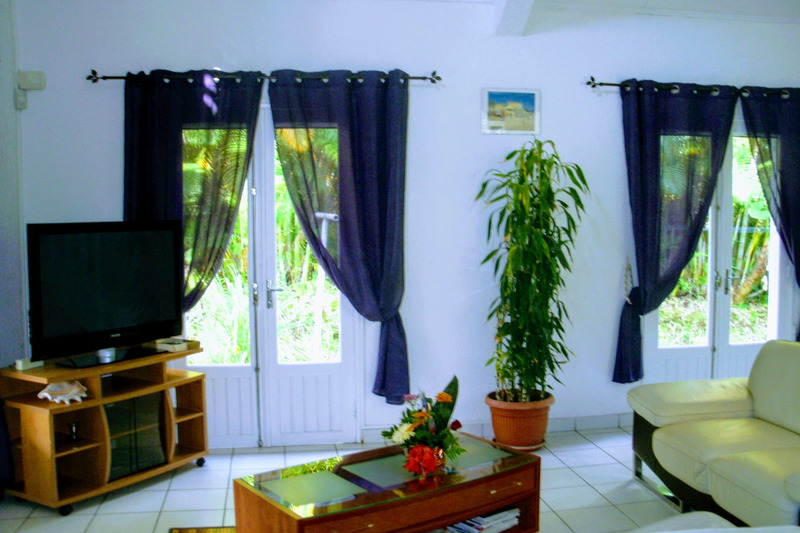 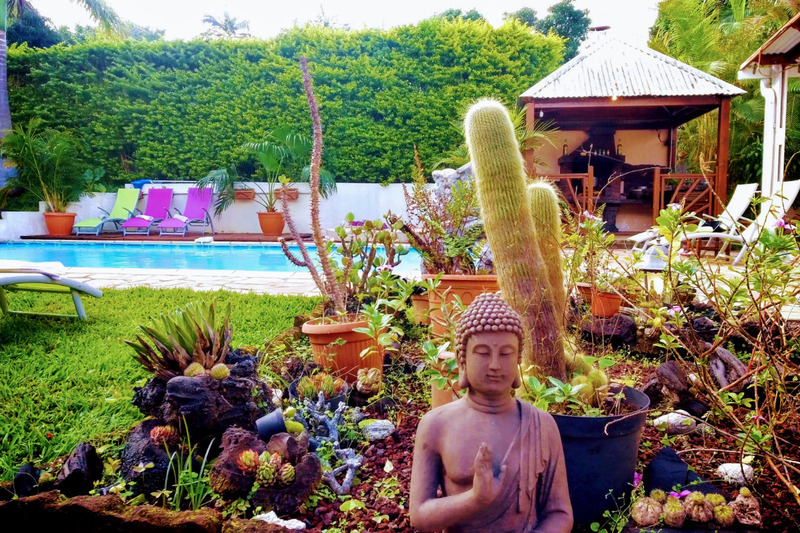 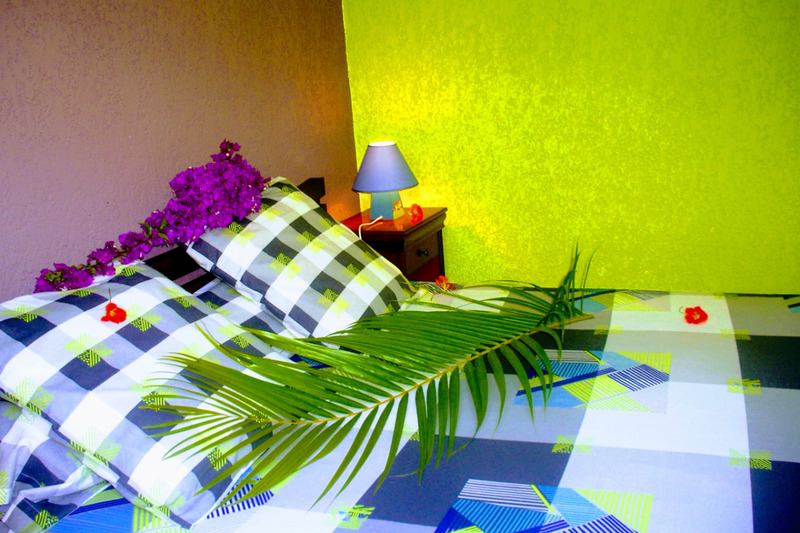 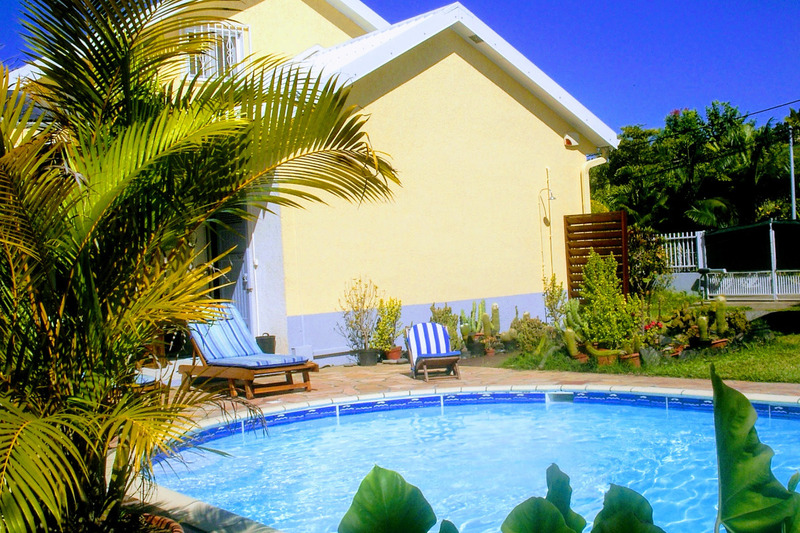 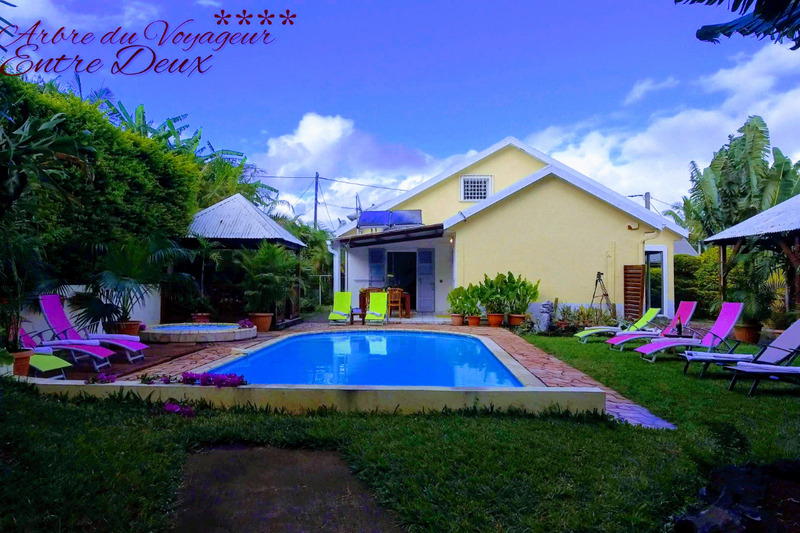 Placed in the entry of the village of the Entre-Deux (village of character), l’Arbre du Voyageur is ideally situated to take advantage completely of places of interest of Reunion (in 15 minutes of the beaches of St-Pierre and Etang-Salé les bains). 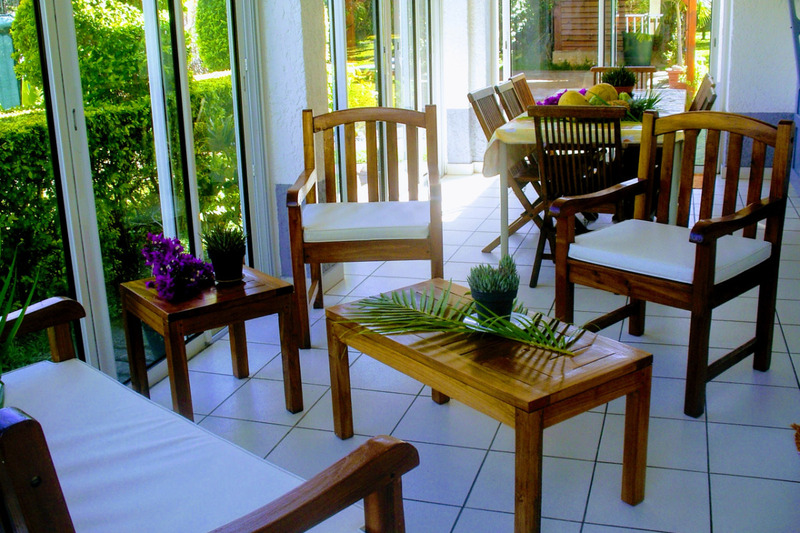 The villa in duplex of a surface of 130 m ² recently built, consists at the ground floor: of a dining room with a big stay (with sofa bed for pers 1), of a fully-equipped kitchen opened on the stay, 2 rooms (bed of 160 x 200 cms), by a room of water, by an independent toilet and by 2 porches (which) one closed). 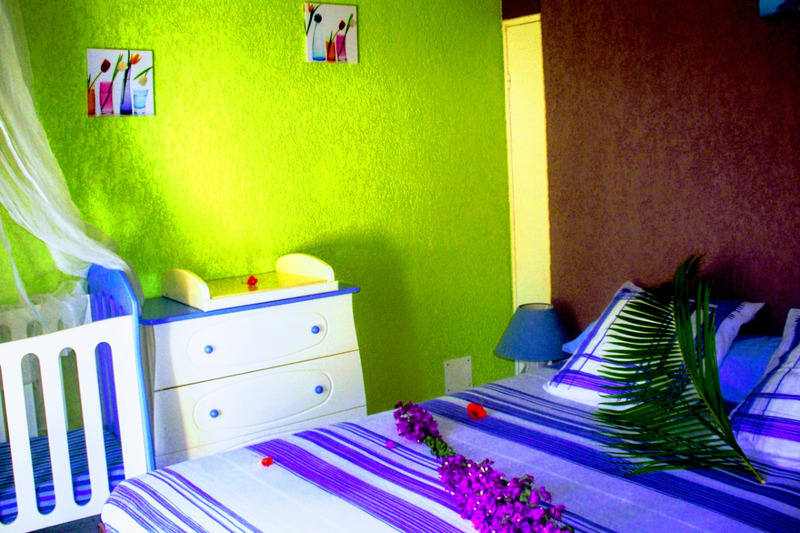 In the floor: a double room (bed of 160 x200 cms), of a corner office (desk) with internet and a shower-room. 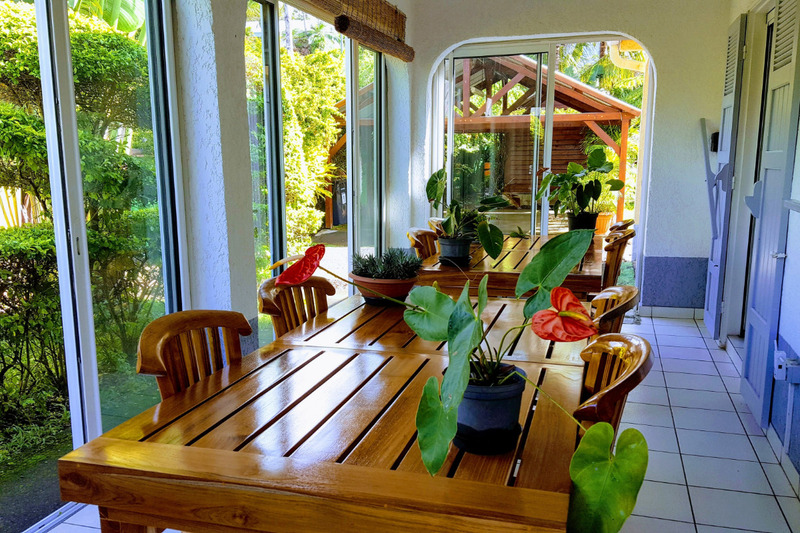 The property is completely enclosed (privative parking lot) and it is pleasantly planted and raised. 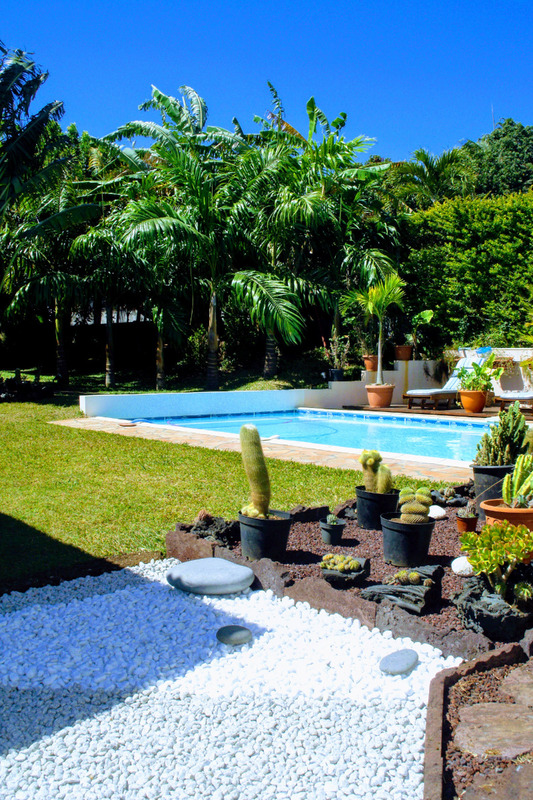 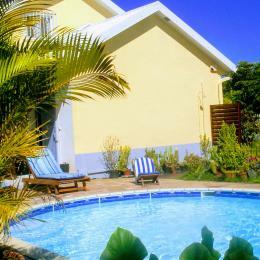 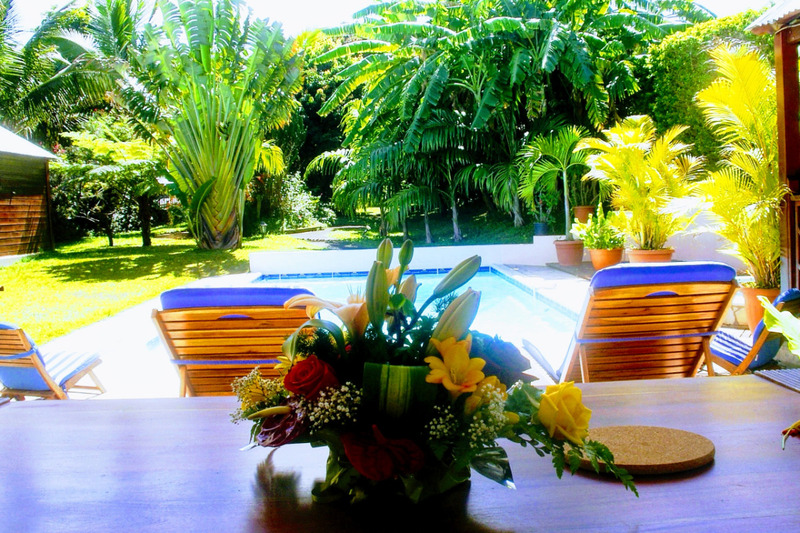 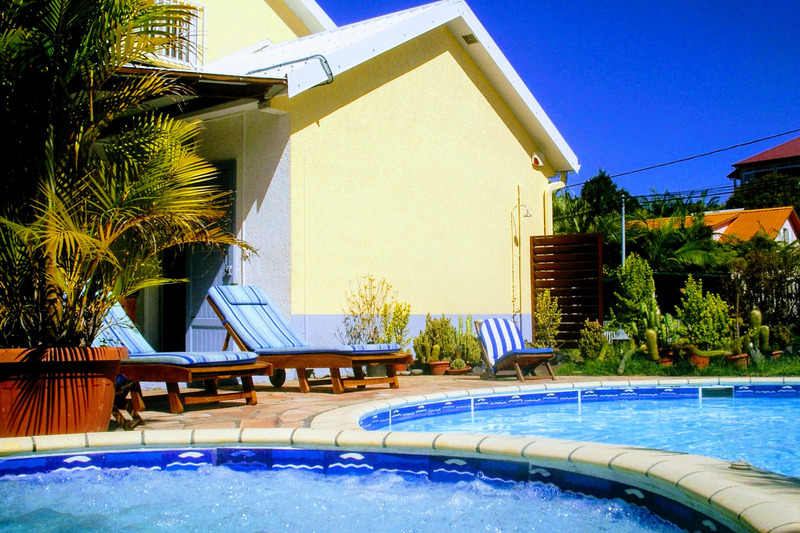 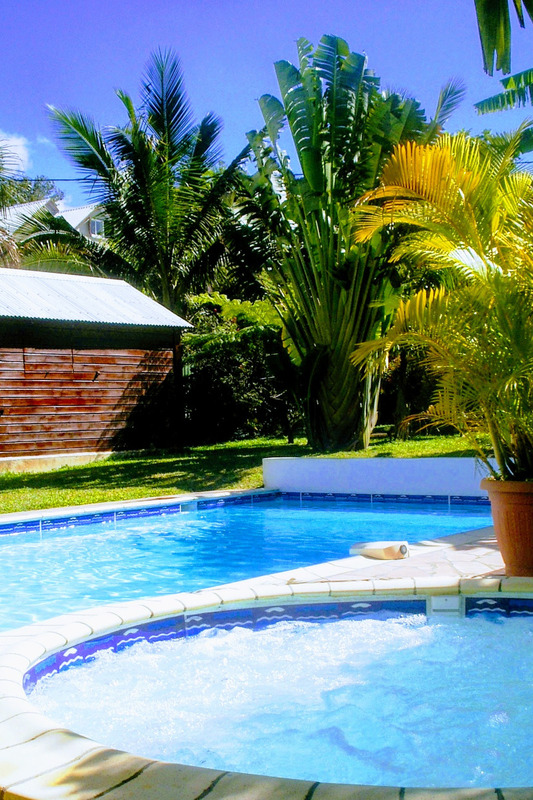 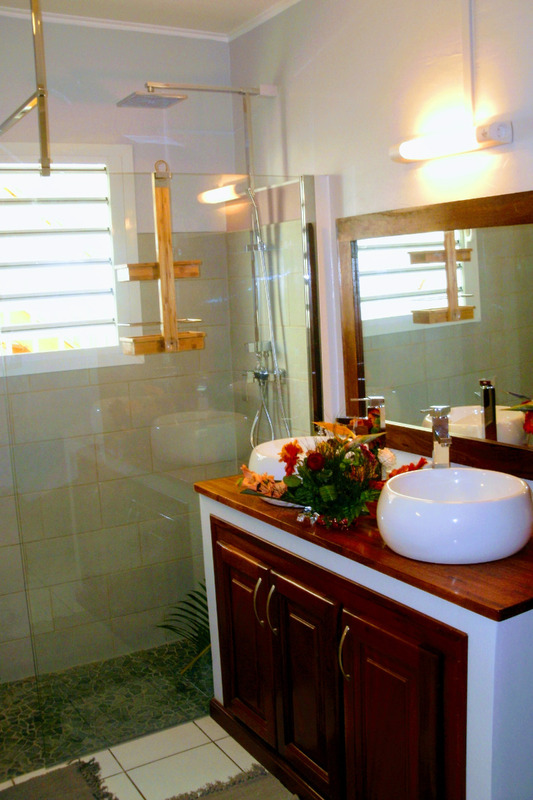 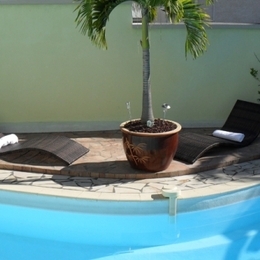 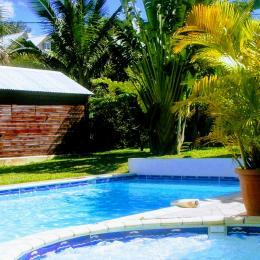 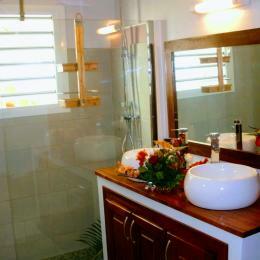 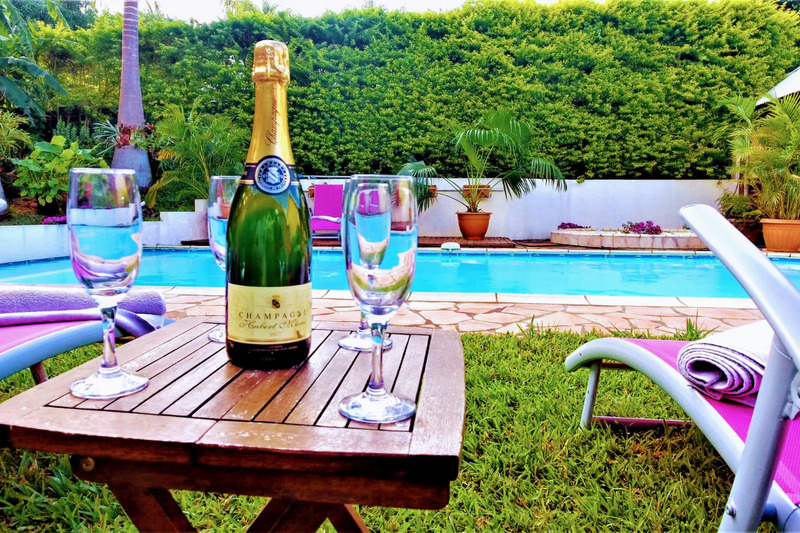 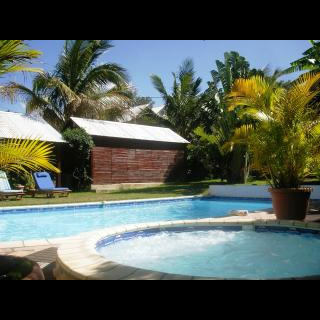 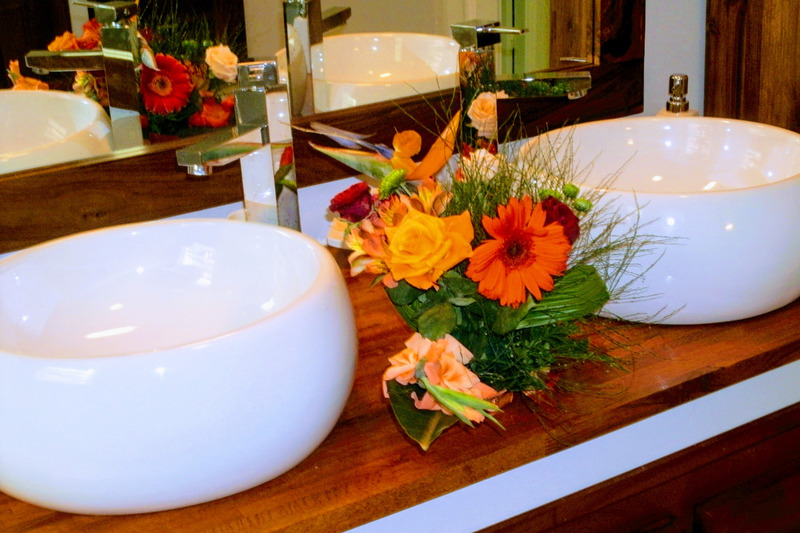 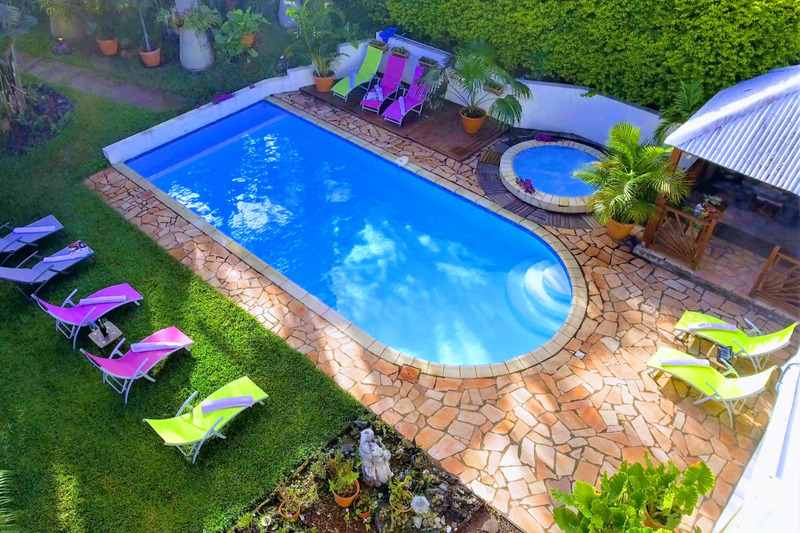 To relax you, l’Arbre du Voyageur is equipped with a swimming pool and with a Jacuzzi (with spa). 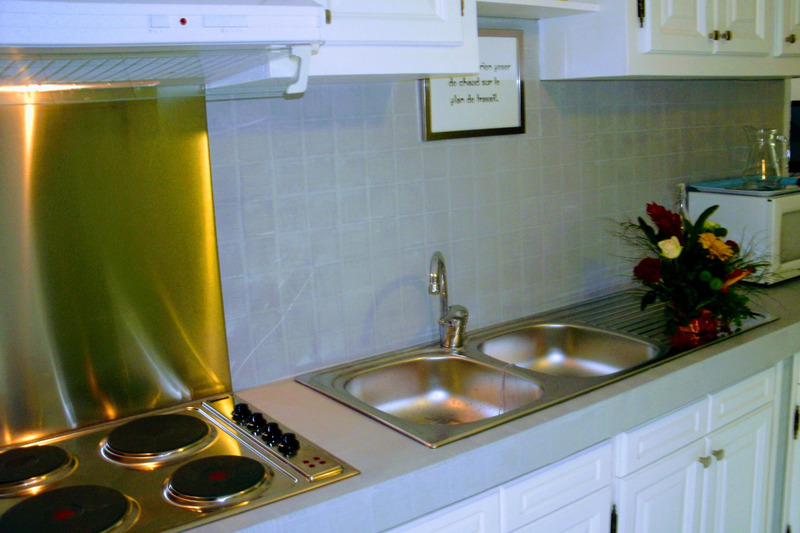 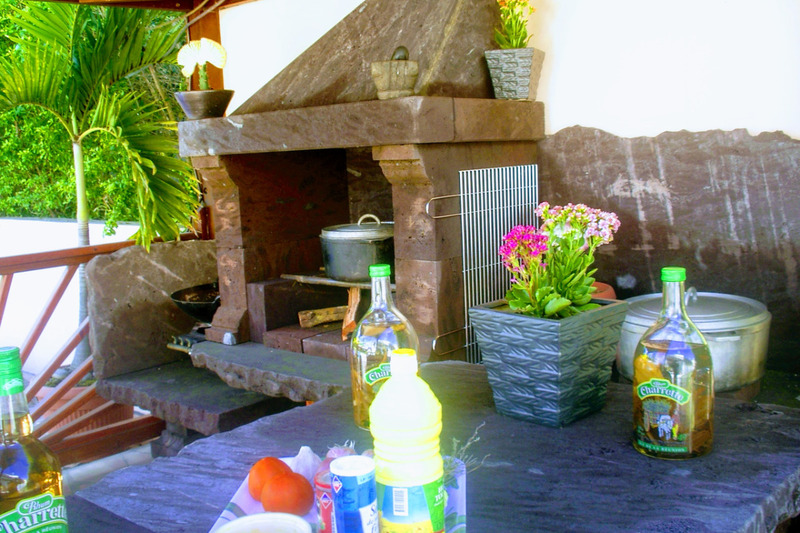 Equipments: internet, TV LCD, chaine Hi-fi equipment, dishwasher, washing machine, oven, microwaves, BBQ,…. 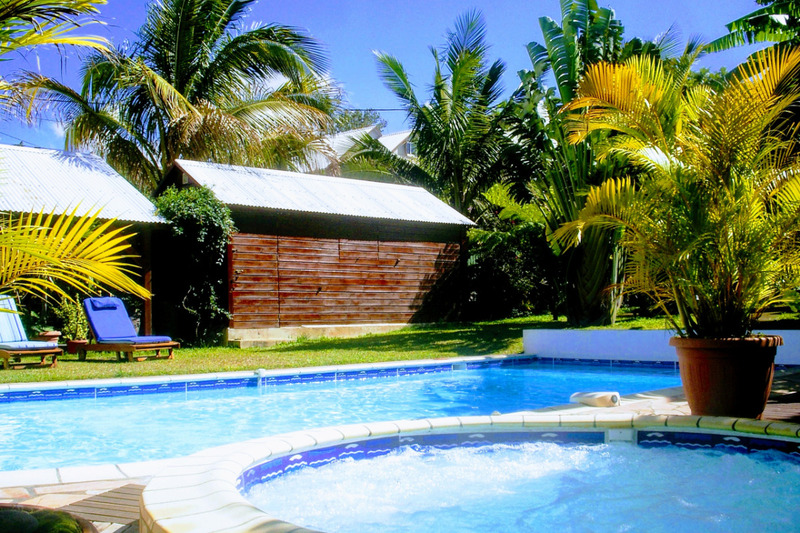 The beaches are 15 minutes away.